“Hello Syria”, produced by the Danish public broadcaster DR, is the recipient of this year’s SIGNIS special award. DR producer Bjarke Ahlstrand told us about the work behind the scenes. The idea came from a meeting I had with Natasha, the host of “Hello Syria”. She told me that she had met a refugee who had not charged his mobile phone in three weeks and when he arrived in Greece and powered it there were 3,000 missed calls and messages. He was distraught. 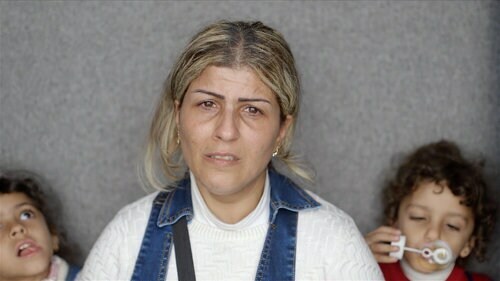 I thought it was a very powerful story and I thought that we could give a phone to refugees when they arrived and that way give them the chance to call their families back home. Phones are their most prized possession and sadly many of them lose theirs along the way or traffickers steal them. That way they cannot stay in contact with their families living in terrible places like Aleppo. I would feel the same in their shoes and you would feel that way too. How did you go about producing the documentary? Once my idea was accepted, we built a small team: Natasha, the host, two journalists and a photographer. We started in Lesbos and then we filmed in camps on the island and then along the route across Serbia and Croatia and the last stop was one of the biggest reception centres in Germany. This was actually where they were the most disoriented as they would have been away from home for a long time by then. From a producer’s point of view, the biggest challenge was the language barrier. We chose to film in refugees’ native tongue, as if otherwise some of the perspective gets lost when you speak in a language that is not your own. The majority of Syrian refugees were highly educated people, with high standards for their futures; I call them refugees 2.0. I wanted to get this perspective and that is why I thought it would be important to speak to them in Arabic. They also related to the fact that Natasha, the host, speaks Arabic and was a refugee herself when she was a kid. Other than that, we also had another big challenge. In our documentaries or reportages, we are all used to being able to portray people under pressure, people who are struggling. However, many people on the route were afraid to lose their dignity and did not want to show their vulnerability. Of course, we did not want to have them cry, but we wanted them to be authentic. That was definitely one of the major obstacles. Another discussion we had during the editing phase was whether to include a discussion we filmed, where some Syrian men were complaining about the fact that other migrants were posing as Syrians to get through the system faster. We did not want to show them as unsympathetic of course, but I thought it was an important element to portray them as natural and human, like all of us. Some of them did not want to be filmed, and of course, we let them call home without filming. Others were afraid of retaliations against their families back in Syria and that is why we only used their first names; to protect them we also used alternative names. In general, the majority of them were grateful, both for the phones and for the chance to share their stories. What has been the audience’s response in Denmark? Before airing the documentary, we posted some segments on social media and that got quite a lot of attention. People also realized that it had a quite distinctive approach. This is why, even though it was aired on quite a small channel, people knew about it. We also showed it to some refugees and they had a very emotional response to it, as they saw themselves in the people depicted in documentary. Finally, a comment on winning the SIGNIS special award. It is a great honour and I am glad to see that the jury reflected on the human approach we used and considered it.